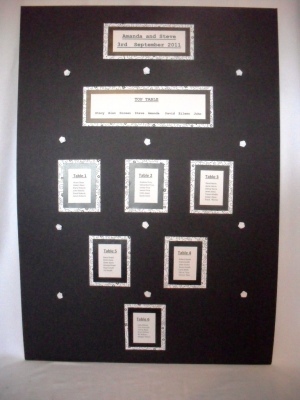 A black and white seating plan for 50 guests including top table. placed on a A1 size black mount board. each table has black and white scroll background with black card and finished with white card for the guest names. 12 white ribbon roses finish this design.